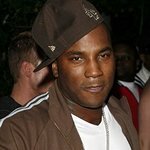 Grammy nominated rapper Young Jeezy has been spreading Christmas cheer over the last week by distributing gifts to needy school children in Georgia. The artist attended the annual Narvie J Harris elementary school Christmas program in Atlanta on Friday, December 12, to give out presents for the National Lighthouse Foundation – a non-profit organization built on the vision that the nation’s children need to be assisted in different ways. Young Jeezy – whose hits include Soul Survivor, Mr President, and Put On – has become well known for his philanthropic efforts. Last Christmas he spearheaded a weeklong toy drive called Toyz n da Hood that gave away 1,000 toys to 1,000 children at various locations in Macon and Atlanta. 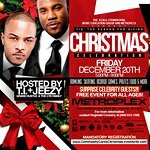 He has also organized a clothes and school supplies donation program, a voter registration event, and donated $5,000 to the Hosea Feed the Hungry and Homeless, a charity fronted by rapper T.I.. He also opened his house to victims of Hurricane Katrina to give them a place to stay.